The tension between man and ape has reached its peak leading to “War for the Planet of the Apes” as revealed in its second trailer. The latest trailer reveals an armada from both sides of the war in a series of intense, explosive confrontations between man and ape on who truly is the rightful heir of the planet. In “War for the Planet of the Apes,” the third chapter of the critically acclaimed blockbuster franchise, Caesar (Andy Serkis) and his apes are forced into a deadly conflict with an army of humans led by a ruthless Colonel (Woody Harrelson). After the apes suffer unimaginable losses, Caesar wrestles with his darker instincts and begins his own mythic quest to avenge his kind. As the journey finally brings them face to face, Caesar and the Colonel are pitted against each other in an epic battle that will determine the fate of both their species and the future of the planet. 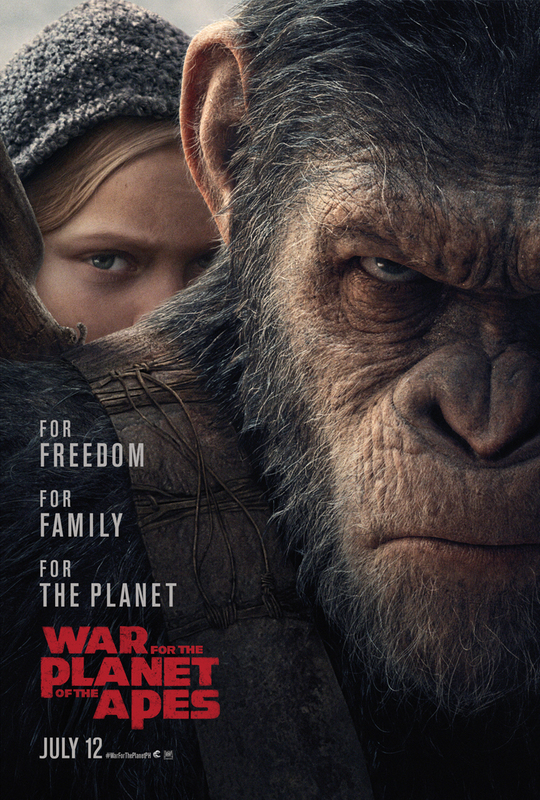 Directed and written by Matt Reeves (“Dawn of the Planet of the Apes,” “Cloverfield”), “War for the Planet of the Apes” stars Andy Serkis as Caesar, Woody Harrelson, Steve Zahn, Amiah Miller, Karin Konoval, Judy Greer and Terry Notary. Join man and ape in the biggest and definitive battle for freedom, family and the planet in “War for the Planet of the Apes” when it opens July 12 in Philippine cinemas nationwide from 20th Century Fox to be distributed by Warner Bros.
“War for the Planet of the Apes” trailer links here.